Drive the Versa for a while then get out and look at it. The effect is amazing. It's hard to figure out how the car you were just driving could be so small when it felt so big on the inside. Rear seat legroom is particularly impressive, and the appearance and amenities up front border on luxury class. The Versa, while capable, isn't particularly fun to drive though, because it favors a smooth ride over road feel. 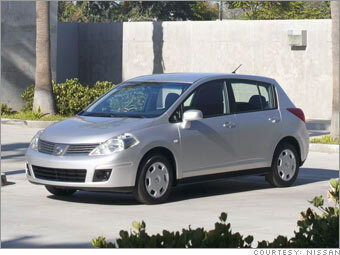 But if you want a small car that drives and feels like a midsize, the Versa is unbeatable. It is also available as a sedan.